Delle fuses are now obsolete, but there ia a large installed base of fuses that need replacing. Our Adapter kits replace the existing Delle live parts and convert the Delle fixing centers to accept a modern, easily obtainable DIN HV fuse. Features: • Direct Bolt-on replacement. • SIBA Din fuse provide superior protection. 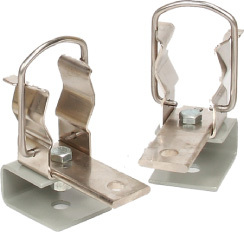 • High pressure clips, hardware and conversion plates.